Thread: Diode Dynamics 2008-2017 Nissan R35 GTR Tail as Turn™ Module! See Install Video! Diode Dynamics 2008-2017 Nissan R35 GT-R Tail as Turn&trade; Module! This is a unique mod that was 100% designed by Diode Dynamics in-house, and is manufactured by us right here in St. Louis, Missouri. Made in USA! 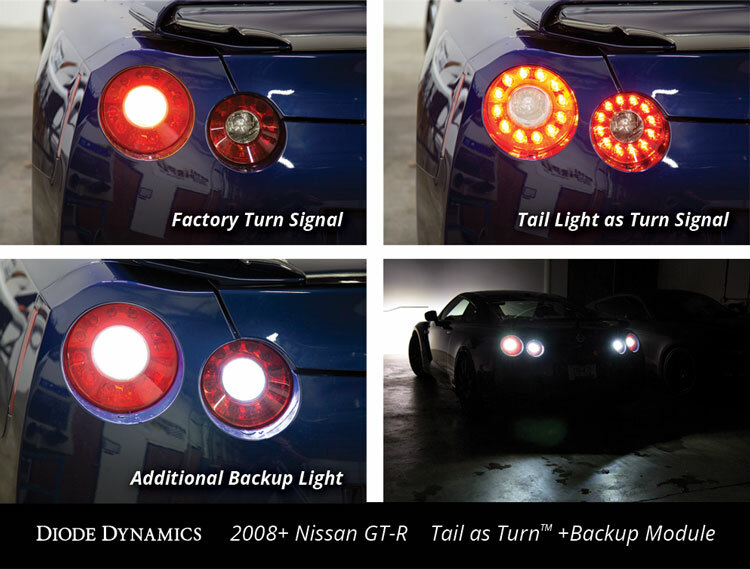 The Tail as Turn&trade; modules will make your nice LED tail light flash as the turn signal as well. With an array of LEDs flashing instead of a boring incandescent bulb, you'll have a unique, modern look! Using OEM plug-and-play tail light connectors, the base Tail-as-Turn™ kit is 100% plug-and-play, with no wiring required. You don't even have to remove your GT-R's tail lights! 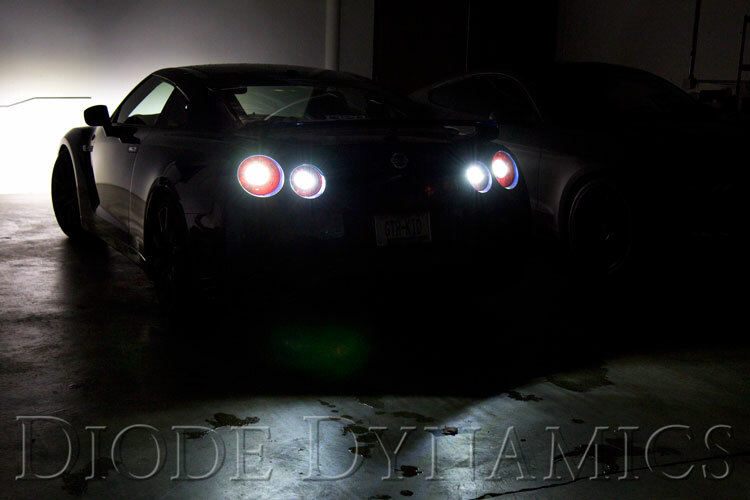 The base kit is just $50, which includes a pair of modules with OEM connectors, to convert your R35 LED tail light into the turn signal, with extremely easy installation. Please note: For ease of installation, a Diode Dynamics' resistor kit will be integrated into each module. This means you will not have to tap your GT-R's factory wiring to eliminate hyper-blinking. Remember: at Diode Dynamics, we're here if you need us for support and service, with our award-winning service team. We have been in business for over 10 years. We feature an industry-leading 3-year limited warranty. Something wrong? We ship you the new item with a return label. No waiting around! We are an American company, located in St. Louis, Missouri. We are open 9-5 Monday-Friday CST. Give us a call!